Little is documented about the origin of refrigerator magnets. That is, we didn’t find any information during our five minutes of searching the web. However, it’s safe to assume that they didn’t exist before metal refrigerators. This probably would have been around the early 1920’s, when refrigerators (as opposed to ice boxes) began to be marketed. We recommend using a refrigerator. The one at right, proudly mounted on cement blocks, is a particularly fine example. This collector has actually moved his exhibit away from the wall and into the center of the kitchen so as to better showcase it. Keep in mind that it isn’t necessary for the refrigerator to actually work in order to create an effective display. 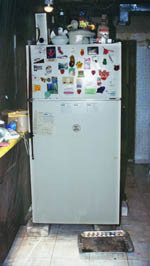 For the purposes of exhibition, one can pick up a bargain refrigerator at a charity shop or the local dump. To conserve floor space, one can also remove the doors from refrigerators and mount them on a wall. In a pinch, other metal objects such as filing cabinets and motorcycles will work, or one can simply panel a wall with sheet metal. 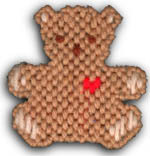 Readimade magnets are available at online, at junk sales and almost all stores. Most are tacky. You can also make your own. Almost anything can become a refrigerator magnet, provided that it’s smaller than the refrigerator and is light enough to be suspended by copious numbers of magnets. A quintessential pop art example, this magnet is indispensable for the opening of pop bottles or cans, particularly for those concerned with breaking fingernails. This example has experienced deterioration and is in need of immediate conservation. 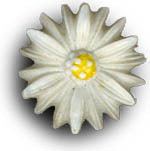 Note the chipped plastic on the magnet’s righthand side and faded metallic gold daisies. Otherwise, this a fine piece. This magnet makes a deliciously ironic statement about the connection between society’s obsession with drinking chocolate milk and its watching TV. The simple, rich colors and graceful, fluid forms exemplify the experience of spilling a thick, frothy glass of chocolate milk on an expensive couch. 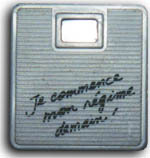 A sly blend of sophistication and naiveté, this magnet combines intriguing French text with that universal dieting icon, the scale. A wonderful example of the “dieting guilt” theme condensed into in a small package. One of the few examples of poly-methyl-tetra-fluoro-ethyl-ene-meth-terephthal-tetra-fluoro-propyl -ethylene-acryl-phthalate still in existence. Very rare, very remarkable. This item is made of a particularly odd plastic coated with a shiny chrome-like material. The surface scratches easily, making it appropriate for casual household use. Its bold Christmas holiday theme is somewhat unusual among magnets. 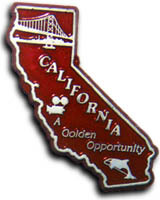 The tongue-in-cheek nature of this tiny map is enhanced by the fact that the Hollywood icon is depicted as being near San Francisco and the Golden Gate bridge is displaced north by approximately 400 miniature miles. The delicate crazing of the stoneware glaze is characteristic of those pieces that have been knocked down repeatedly by overweight parakeets or which have been hurled at cement walkways. The designer of this magnet, as with the cow at right, made the erroneous assumption that people wish to be reminded of the original form of the food that they eat. Mass produced by the cheapest possible means. Note the bold copyright mark in lower righthand corner, which mars the magnet’s appearance. Still has original bells; in exceptionally fine condition. Homemade. An outstanding example of naive art made in an area of limited resources. Materials, presumably procured from a small dime store smelling of mothballs, include plastic canvas and coarse acrylic yarn. This piece is executed with flat, somewhat somber colors which allow it to be positioned for sale as a nostalgia item, thus commanding a ridiculously high price. An edgy example portraying a fantasy theme, this magnet combines unlikely colors with hints of a biological or post-apocalyptic genetic engineering atrocity. Particularly coveted by prepubescent females. A homemade, uniquely 20th century work. Its creation would have been impossible without the development of mass produced googly eyes and synthetic pom poms. Note the simplicity of line, the vibrance of colors. 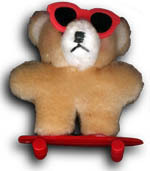 This piece combines the “rebel teenager” icons of sunglasses and a skateboard with the cuddly softness of a Teddy Bear. No doubt it is intended to appeal to aging females who wish their teenagers were cuddly again. 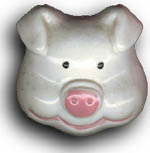 Benignly accepting of their ultimate fate – being diced and thrown in a stew pot – these remarkable plastic creatures continue to serve the family by loyally attaching bad grade reports to the refrigerator. “Laughlin, Nevada”. The iridescence in this example highlights the commercial importance of latter 20th century thin film technology. What plumbing has to do with plums, we shall never know. However, if you need this company’s services, your plumbing is presumably baroque.